If I retire with 200 days of sick time, how does this effect my retirement ? Thank you for your comment. We’ll be contacting you soon via email to address the particulars of your question. I have still not received my payment stub for 8/31. I have direct deposit and expect to receive a statement detailing payments and deductions. NYSLRS doesn’t send out payment statements for every deposit. You’ll only receive one if something about your payment changes. You can see a breakdown of your most recent payment through Retirement Online. Retirement Online is a convenient and secure way to review your benefits and conduct transactions. Click here to learn more and register for Retirement Online. For questions about your direct deposits, you can email our customer service representatives using our secure email form. One of our representatives will review your account and respond to your questions. Filling out the secure form allows us to safely contact you about your personal account information. Perhaps a general article related to : How is un-used leave (sick, personal, Vac, Holiday) treated in retirement. Sick leave is the one with the most confusion I think. Some say use it up before you retire, some say that if you retire with 1000 hours on the books your health insurance is covered for life…and everything in-between. Thank you for the suggestion. To your point, some NYSLRS employers do choose to offer a sick leave credit benefit, which allows some members to convert unused, unpaid sick leave into extra service credit. Last year, we covered how that works. However, to be clear, NYSLRS doesn’t administer health insurance programs for its members or retirees. Whether you work for New York State or another public employer, your employer’s health benefits administrator (HBA) should be able to answer your questions about health care in retirement. 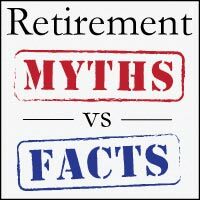 If I retire at age 56 with 24 1/2 years how much will my monthly pension be? Your monthly pension depends on your plan and your tier. Most members are in plans that allow them to retire as early as age 55, but there is usually a permanent early-retirement reduction if you retire before age 62. Most members can use our Benefit Projection Calculator (see first link below). The calculator provides estimates based on information you enter. By changing each variable (date of retirement, average salary, beneficiary information), you can see the impact it would have on your pension benefit. For account-specific information about your plan, please email our customer service representatives using our secure email form (see second link below). One of our representatives will review your account and respond to your questions. Filling out the secure form allows us to safely contact you about your personal account information. Can you tell me if there is the rule of 80? Meaning your age and time of service adds up to 80 or more, and one would be eligible for early retirement without penalty. No, NYSLRS plans do not have a “rule of 80.” Unless you are in a special 20- or 25-year plan that allows for retirement after 20 or 25 years, regardless of age, you must be at least 55 years old to receive a NYSLRS pension. For information about your particular situation, we recommend that you email our customer service representatives through our secure email form. One of them will review your account and respond to your questions. Filling out the secure form allows us to safely contact you about your personal account information. Is it true that for every $1000 outstanding loan balance there is a reduction of only $48.95 annually at age 55? Yes, currently, ERS members retiring at age 55 will see a $48.95 annual reduction in benefits for each $1,000 of loan balance outstanding at retirement. This is a lifetime reduction. You should know that if you retire with an outstanding loan, you may be required to pay income tax on some or all of the outstanding balance. And if you are under age 59½, the IRS may charge you an additional 10 percent tax penalty.